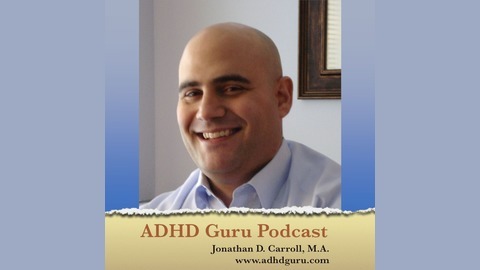 Jonathan Carroll shares tips and suggestions on how to best manage your ADD & ADHD. Jonathan helps with clients globally on implementing success strategies. For more helpful information, you can visit www.adhdguru.com or call 877.398.2343. Your feedback is always appreciated and helps me grow the podcast. 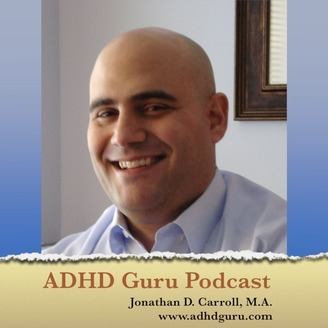 ADD/ADHD and Executive Functioning Coach Jonathan Carroll discusses the relationship between mindfulness and ADHD. From eating the right foods to social situations, Jonathan gives ideas for a few situations. For more information on Jonathan, you can visit www.adhdguru.com, email jonathan@adhdefcoach.com or call 877.398.2343. What are some Technology Options for Individuals with ADHD?